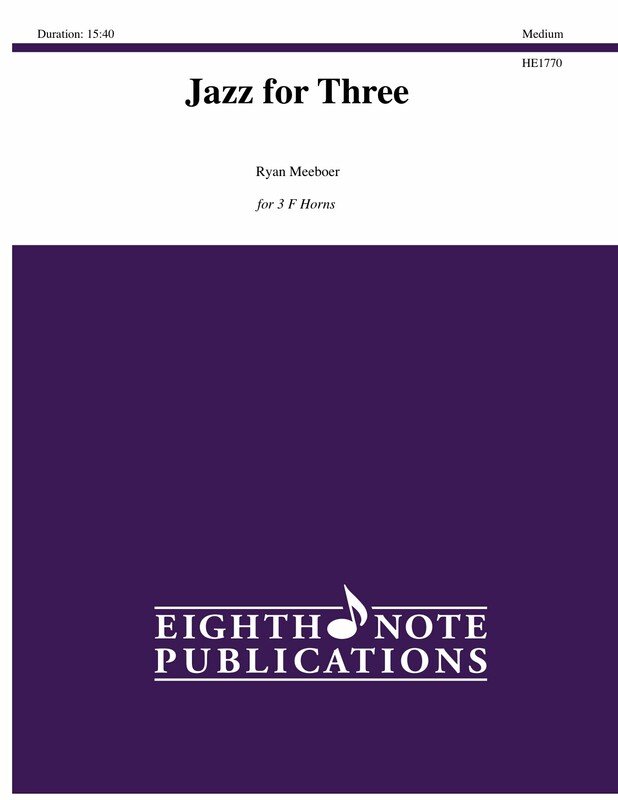 This is a collection of original compositions and arrangements of various styles of jazz music set for 3 like-instruments. The arrangements are suitable for a variety of performance situations such as school concerts, at church or community gigs. There is an optional drum set part that is available as a free download from our website. Pieces included are: Sleepwalk (swing), Mission: Secret (rock), Just Chillin (funk), Up on the Housetop (mambo), Down and Out (blues), Swing Time, (jump swing), Front of the Train (mambo), Mr. Cool (swing), Rough Copy (funk), and Glory to that Good Jump Swing (swing).